A cute little Pasty to welcome the new addition to the family! 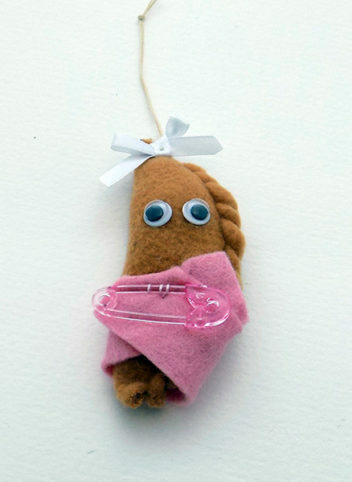 A soft felt pasty with eyes and pink nappy with pink plastic pin. White bow and cotton string for dangling. A great little gift for any New Baby Girl.